According to recent research published by SANS: 23% of respondents said that applications were the source of actual breach, data loss and attacks on others and only 25% of the respondents believe they have a mature application security program. 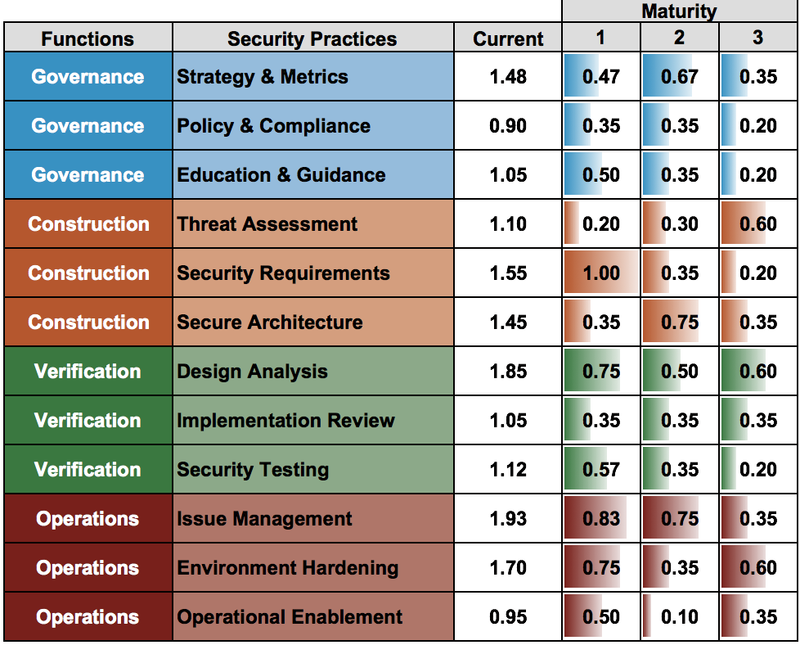 The OWASP Software Assurance Maturity Model (SAMM) enables organizations to formulate and implement a strategy for software security that is tailored to organization-specific risks. With SAMM, organizations can accurately evaluate their existing software security practices and steadily improve their security posture over time in well defined iterations designed to meet their unique needs. 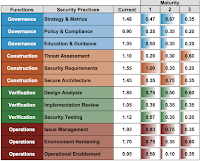 The SAMM scoring model also helps demonstrate concrete improvements to security related activities throughout an organization. SAMM is one of the very few mature and open resources available to assist organizations measure and build software security programs. The new additions to OWASP SAMM are a direct response to the relentless occurrence of security breaches where vulnerable software allowed attackers to gain access to private, corporate data. Bart De Win, co-project leader of OWASP SAMM, says "Our main goal for version 1.5 was to support our large user community by incorporating their feedback and improving the measurement system of the model." Anyone who has filled out a SAMM assessment has had a discussion on whether to mark an answer “yes” or “no”, when the answer is honestly something in between. 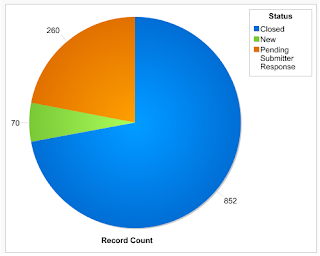 By replacing the Yes/No answers with four graduated steps, SAMM v1.5 improves the granularity of scoring, allowing partial credit for achieving maturity benchmarks.This coupled with the matching scoring system, makes it easy to see maturity improvements from projects and initiatives on a dashboard. One of the main benefits of the updated scoring model is that you can visibly see improvement to your maturity score on the dashboard as initiatives are completed. This can go a long way in building support for your Application Security Program. SAMM v1.5 has enhanced explanations of the maturity model with worksheets and guidance containing example case studies which allows organizations not only understand where they are, but to understand what has worked (and hasn't) for others in similar scenarios. This is a continuing effort with more improvements expected in v2.0. Implementing SAMM is easier with a new Quick Start guide and Tool Box that includes interview forms and the ability to generate road maps, charts, and graphs. For more information you can visit https://www.owasp.org/index.php/SAMM, watch the SAMM v1.5 Webinar on YouTube, or download the slide deck on SlideShare. The March operations update includes vital information about OWASP's infrastructure initiatives, membership models, project activity, and the Project Leader handbook. Read it for an overview of what is happening in OWASP. OWASP is updating our Project Leader and Chapter Leader Handbooks as part of periodic maintenance. We are interested in your feedback on the changes as well as hearing any changes you would like to see. The Handbooks are a mixture of core regulations and best practices meant to guide your project or chapter to success. OWASP has announced our 2017 Strategic Objective. This year instead of holding multiple strategic objectives we will aim for a single ambitious goal meant to drive OWASP forward. This will help us bring all of our resources to bear in ways competing strategic goals prevent. This year OWASP will host four FREE 500-person training events worldwide targeted towards developers and entry level application security professionals. Each event will be delivered by professional security trainers and cover core application security topics. The purpose is to have the most impact and attract the most number of attendees. This year the target cities are: Boston, Delhi, Israel, and Tokyo. You can follow the progress on the OWASP blog through Staff Operations Updates and keep an eye out for the Call for Trainers coming very soon. Essential Node.js Security by Liran Tal is being gifted to OWASP members by the author. OWASP is once again providing a platform for project leaders on the two full days prior to AppSec Eu 2017. Project Summits are a place for project leaders and contributors to collaborate as well as provide feedback to OWASP. This year we are also including a session dedicated project reviews. The purpose of this assessment is to determine whether a project meets the minimum criteria to graduate from Incubator to Lab and Lab to Flagship. You can help us review other projects or submit your project to be reviewed. To learn more check out our blog post on the subject. Get Training at AppSec Europe! Once again we are excited to bring the OWASP Developer Summit to AppSec Europe 2017. OWASP will provide two full days of training for developers prior to the AppSec EU 2017 conference. The Developer Summit will start with a full-day, hands-on developer session followed by two half day sessions geared towards learning about security vulnerabilities. Registration is required and spots are limited so share this opportunity with developers you know as soon as possible. AppSec USA CFP and Sponsorships are open! The OWASP AppSec conference in USA is an established and premier venue for web applications leaders, software engineers, and researchers and visionaries from all over the world. OWASP AppSec USA gathers the application security community in a 4-days event to share and discuss novel ideas, initiatives and advancements. The 2017 edition will take place in Orlando from September 19-22. We are looking for "the next", cutting edge research in the context of web applications, secure development, security management and privacy. Our goal is to give both academic researchers and industry practitioners the opportunity to share their latest findings with the rest of the community; including coverage via our media channels. Please remember when you submit your proposal that the program committee will review your submission based on a descriptive abstract of your intended presentation. Feel free to attach a preliminary version of your presentation if available, or any other supporting materials. Keep in mind: the better your description is, the better our review will be. Please review your proposal thoroughly as accepted abstract and bio submitted will be published 1:1 on our site. If your presentation is accepted for inclusion in the conference program, you are free to submit a white paper describing your work, which will be added to the website. The planning committee for AppSec USA 2017 is excited to present many exciting changes to enhance sponsor value and improve ROI. With an expo floor plan designed for expo purposes and sponsor placement and event activities structured to maximize foot traffic to YOUR booth, you can be assured that you will maximize lead generation activities. Additionally, the planning team has several events planned to encourage a family friendly atmosphere to drive attendance numbers skyrocketing upwards, and what better place than Walt Disney World? The vendor booths are located in high track areas so that you can be assured to get the attention of more than 1,000 security decision makers, influencers, and practitioners in the community. This is the opportunity for your company to recruit, generate business, and share ideas. The Chapter Leader handbook updates are going to go live on April 2nd. Please add any pertinent comments to the documents by Friday March 31st. Is your chapter hosting a cool series of talks or training? Are you running innovative meetings? I would like to feature your chapter on the blog and in the connector. Pitch your story for this ongoing series. Selected chapters will receive a donation from the foundation to their chapter as well as broader publicity. We would like to thank the following companies for supporting the OWASP Foundation. The companies listed below have contributed this month by either renewing their existing Corporate Membership or joining OWASP as a new Corporate Member. Welcome to the operations update for March 2017. This is a continuation of the series of blog posts about what's happening at the OWASP Foundation. The previous post is available here. OWASP IT infrastructure hosting. Rackspace has ended the donation of hosting to the OWASP Foundation causing a rethink and reshuffle of IT resources. Roughly 1/2 of the servers running at Rack have been relocated to other resources. Additional workload / server migrations have been added to this effort as the hosting for the AppSec EU conferences is moving to the Foundation's infrastructure. Thanks for Dirk for this many years of maintaining those hosts. Migration of the AppSec EU hosting will be concluded by March 30th. Still at Rackspace: Wiki web and db servers, Mailman, and a general purpose server used primarily for static content and http(s) forwards. Due to the unexpected end of the Rackspace donation, the Ansible deploy and update code had to be refactored to remove the Rackspace-specific portions. That work is nearly complete. As soon as the Ansible refactoring work in complete and tested, the OWASP wiki and db will be updated to 1.27.x and migrated to the AWS infrastructure. The RFP for the creation of a new look and feel for the OWASP wiki is starting the week of March 6th. Look for a call for participation shortly. The OWASP Communications Plan - a staff-created plan to professionalize how OWASP interacts with its community and the world at large. Migration will be timed to coordinate with the retirement of the Mailman installation at Rackspace. Mailman migration will occur after the Wiki has new hosting. Beta program for the Foundation's Global Meetup account is continuing. Updated version of the AMS software used with Salesforce allowing for greater interactions with the community, OWASP leaders engagement, improved event registration, multi-currency handling and a host of other improvements rolling out during 2017. The content of the Project Handbook has been converted to Markdown and moved to GitHub - check out its new repo! Using GitHub allows the community to update the handbook content while the wiki is reorganized to remove the multiple templates used currently for the handbook. PRs accepted. Fork the repo now or add an issue to the repo. Once updates are complete, the version will be tagged, converted to MediaWiki markup and moved to the OWASP wiki. Our own Claudia (Project Coordinator) will be conducting a session on the project handbook at the London Project Summit - more details as the plans solidify. Started working with Hugo to create a new membership flyer to highlight the new membership model approved by the board during the February Board Meeting. As always, the OWASP staff are here to make the OWASP community even stronger. If you have a question, concern or need let us know using the 'Contact Us' form. Also, feel free to attend, suggest or otherwise engage the OWASP Foundation further at the March 8th Board Meeting.